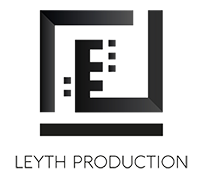 Générique Hkeyet Tounsia from LEYTH PRODUCTION on Vimeo. The first Tunisian director in the serie category, Nada Mezni Hfaiedh launched Friday, June 05, 2015 in Tunivision, her serie "Histoires Tunisiennes" in Arabic "Hkeyet Tounsiya". This serie was broadcast during the second fortnight of the month of ramadan in 2015 on the tv chanel El hiwar Ettounsi. - Shams painter who just broke up with her boyfriend Mehdi. - Ines sexologist ,divorced and has a daughter Nour of 19 years old. - Sabrine a business woman, married to Fouad who is socially and financially less than her; Line a Tunisian Jewish choreographer who is in love with Zied the son of Khalil Ben Khalifa, the president of a powerful political party El Soukour. They are followed by Hassan, a journalist and director who is doing a documentary about Tunsian women. Hassan happens to have an alarming testimony from a young woman Hela, victim of Humain Traffic network which she clearly denounces the political party El Soukour behind this Network. Sandra vice-president of this party is the wife of Mo, Hassan’s best friend. Mo gets out of prison and is ready to do eveything to take revenge from his wife and all of those who were responsible for his emprisonnement. Between opportunism and manipulation, events keep going strong and the theme of the interference of personal problems with politics are mentioned in an explicit way with several twists.